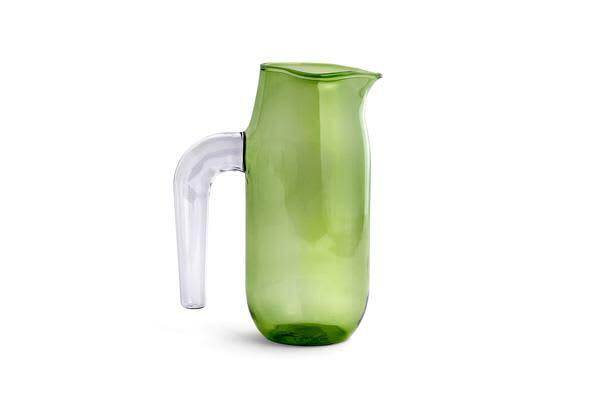 Expert glass artist Jochen Holz has created this glass Jug for HAY in green with a clear handle. The simple, organic design has a strong yet graceful expression, reinforced by the shaped rim and downward curve of the handle. Made from borosilicate glass so it is extra heat resistant.